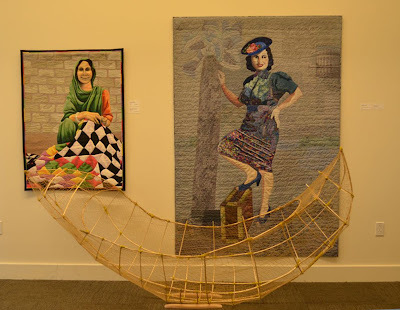 One of the places that I visited in San Diego was the Women's Museum of California where I viewed the exhibit, Capturing the Wonder of Women. 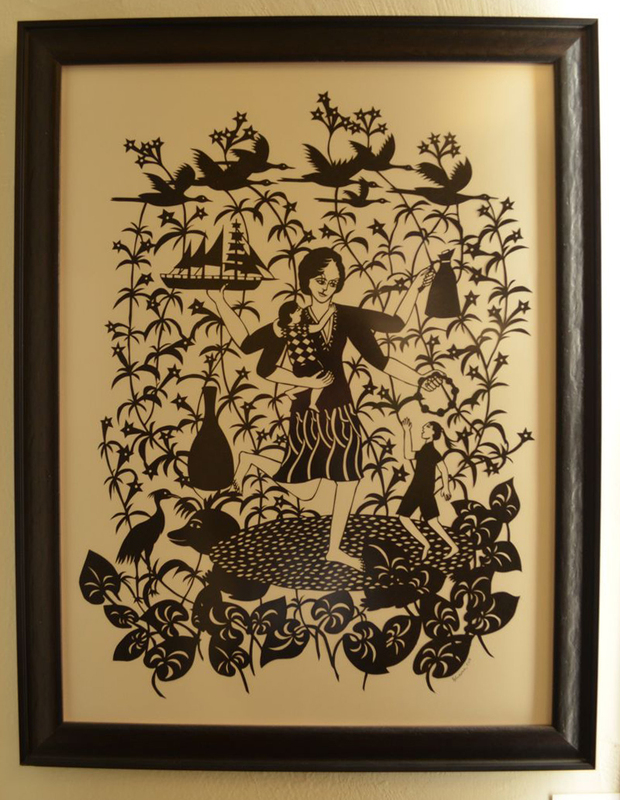 This exhibit encompassed a wide range of works by regional residents using varied media. It is on view through Sunday, February 24, 2013. Here are a few of the works that caught by my eye. The first is a beautiful glass piece by Vicki Leon. 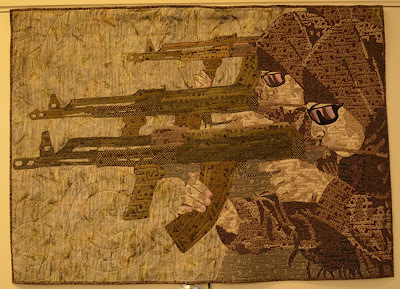 This art quilt by Kathleen McCabe was inspired by a photo sent from Afghanistan of women trainin for security forces. 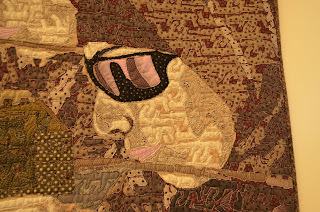 I have included a close up which shows some of the intricate detail in the work. Kathleen had some of the pieces laser cut. 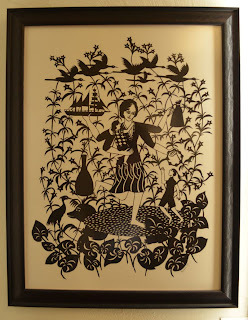 Bhavna Mehta's piece is cut paper. 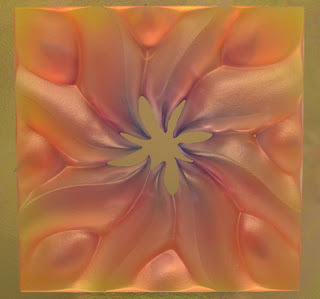 And, finally, here is a grouping of three works. The structure on the floor by Stephanie Bedwell is made of reeds and wool and is entitled, Predicting Vulnerability. 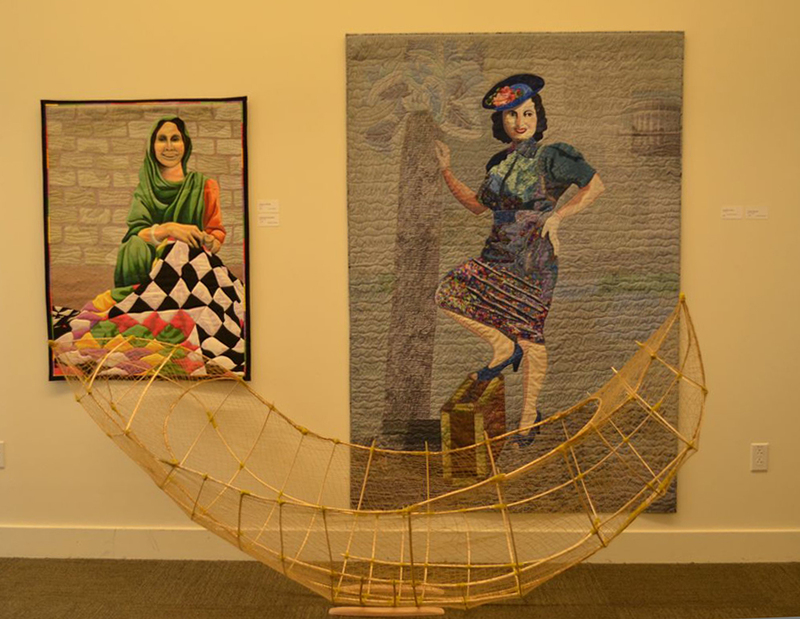 The art quilt on the left is Threads of Identity by Linda Anderson; the one on the right is Portrait of Adele by Barbara Friedman. Powerful exhibit, especially the piece about the women training as soldiers...oh my.